The five fishermen were dressed for stormy weather, orange rain pants and neon yellow hoods bright against the moody waters of Gloucester Harbor behind them. It was not, however, a day for fishing. A photographer crouched near the edge of the dock, shooting images of the fishermen looking stern with their legs wide and their arms crossed. The sky was gray, but it wasn’t raining yet, so an assistant stepped up and used a spray bottle to wet down the gear. In the background, a dozen seagulls wheeled and dove. The men on the dock were the tuna boat captains who head the cast of the upcoming eighth season of the National Geographic channel’s reality show Wicked Tuna, airing this year. They had spent the summer fishing—and filming—and had plans to ply the waters throughout the fall, but for the moment they were fulfilling the responsibilities of their other job: TV star. “We’re just fishermen who got a shot at doing something really cool,” says T.J. Ott, who captains the Hot Tuna on and off the show, which has developed a cult following. Since 2012, Wicked Tuna, based in Gloucester, has followed a group of fishermen as they compete to see which boat achieves the highest value for their catch over the course of a season. The show captures the drama and the boredom, the camaraderie and the conflict, the dangers and the exhilaration of tuna fishing. It has become a fan favorite both here and afar; it is broadcast in 172 countries and 43 languages. 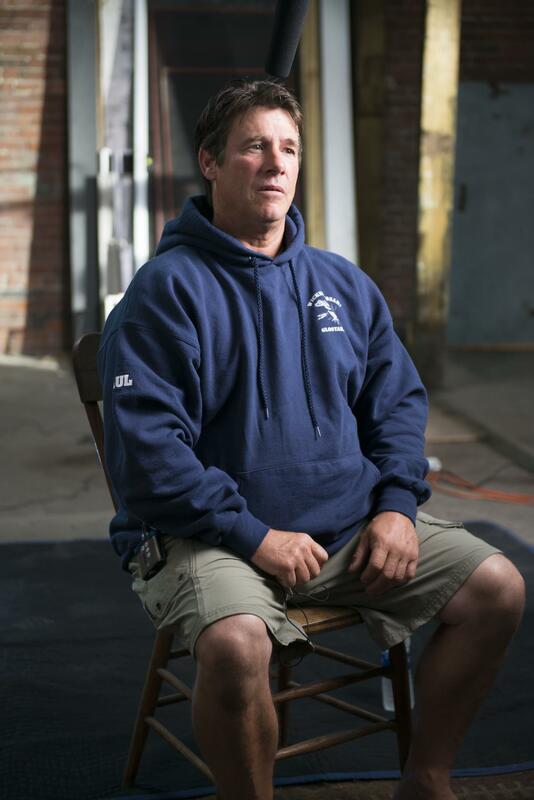 Longtime Gloucester resident Dave Carraro has been with the show from the beginning. His boat, the Tuna.com, has won four of the program’s seven seasons so far. Though he has been a success, however, he almost missed his chance. When casting agents called him, Carraro kept ignoring or hanging up on the unknown Los Angeles phone number. Finally, he stayed on the line long enough for the caller to plead that he not hang up, and a connection was made. He consulted with his crew and they decided to go for it. Paul Hebert was originally part of Carraro’s crew, but he bought his own boat, the Wicked Pissah, and has been a captain in his own right since the fifth season. Hebert, a third-generation commercial fisherman, has been fishing as long as he can remember; he likes to show off a photo on his phone of himself as a small child hooking a tuna from a rowboat. After an accident in which he broke both his knees, Hebert thought he would never fish again. But when Wicked Tuna came calling, Carraro got in touch and asked if he wanted to be part of the show. He accepted the offer, even though lingering pain in his legs made it difficult for him to fight hooked fish. Dave Marciano, captain of the Hard Merchandise, is another of the show’s original captains. The Beverly native has been drawn to the water ever since an uncle took him fishing as a child. He almost didn’t graduate from high school because he paid far more attention to fishing than academics, he says. Wicked Tuna has given Marciano some financial stability and a little adventure he didn’t always expect to have. His charter business is taking off, his children were able to graduate college debt-free, he says, and he and his wife, Nancy, have had the chance to travel extensively doing appearances, even visiting a fishing tournament in Italy. “The past three years have been the best three years of my life,” says Marciano, who wears a gold tuna on a chain around his neck. His current crew consists of his son, Joe, and his daughter, Angelica, who joined the team last season after Marciano’s nephew left the show. Like the other captains, Ott is regularly approached by fans when he comes ashore. Recently, a family from Ireland made a visit to Gloucester specifically to track him down. When he is working out of Key West in the winter, there are days he is stopped more than 30 times as he walks just 10 blocks. People regularly recognize not just Ott but also his two Rottweilers, who often appear on the show.